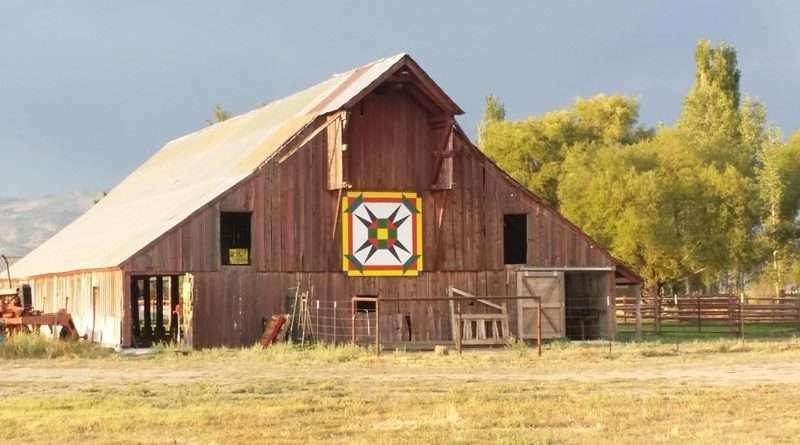 Sourdough Slim will perform at The Lost Marbles Ranch barn Friday, Sept. 28, from 6:30 to 8 p.m.
Sourdough Slim will perform in the barn at The Lost Marbles Ranch in Sierra Valley on Friday evening, Sept. 28, as a kick-off to the Sierra Valley Art + Ag Trail. There’s no one else quite like Sourdough Slim, according to event organizers. 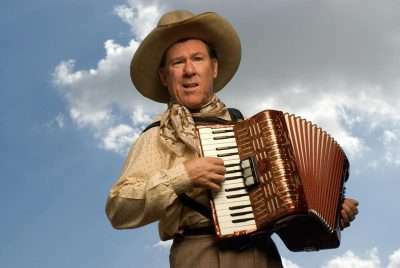 The accordion-playing, yodeling, cowboy-dressed performer will make you smile and laugh with a wide range of friendly old songs. Over the years, Sourdough has delighted crowds at the annual cowboy poetry show at the Sierra Valley Grange Hall, and he has entertained audiences throughout the United States. Don’t miss this Friday evening concert on a stage inside the Lost Marbles Ranch barn, which is sure to be a fun kick-off event for the Sierra Valley Art + Ag Trail on Saturday, September 29. Proceeds from the concert will benefit the Sierra Valley Art + Ag Trail. The concert will run from 6:30 to 8 p.m. Pre-sale admission tickets are $15 for adults ($20 at the door), $10 for children in advance ($15 at the door) and free to children 6 and under. Come at 5:30 p.m. to enjoy chips and a grilled hamburger or veggie burger prepared by the Loyalton High School FFA Club for an additional price of $10. Dinner can be purchased at the event site on the evening of the concert. Purchase Sourdough Slim tickets in advance online at Brown Paper Tickets. If you have questions about the concert, email [email protected], or [email protected]. The Lost Marbles Ranch is located at 2985 Marble Hot Springs Road, at the intersection with County Road A-24 in Sierra Valley. The historic Lost Marbles barn is a stunning venue for weddings and events with open valley vistas and nearby wetlands teaming with birds. For more information, visit thelostmarblesranch.com/.